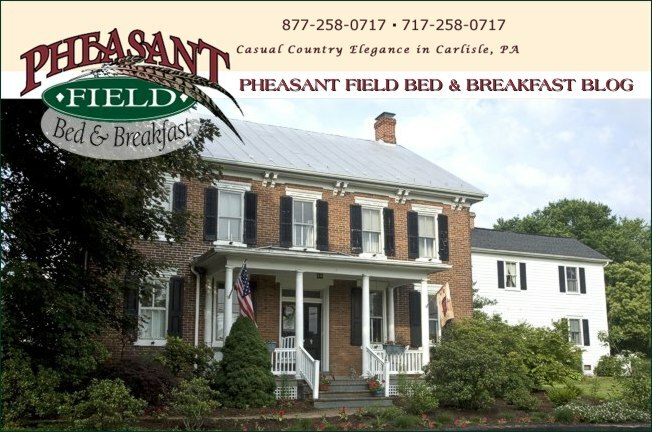 Happy Halloween from Pheasant Field B&B! Here in Carlisle PA tonight, the Carlisle Theatre will be featuring the Rocky Horror Picture Show - for only $5! Tomorrow's breakfast here at the B&B, will be a healthy one (after all the Trick or Treat candy tonight): Whole wheat, oatmeal nut waffles with a fresh fruit topping. Add some fresh, hot coffee, nice fall weather, AND an extra hour of sleep (with the time change), and it sounds like a wonderful Sunday in Carlisle PA!